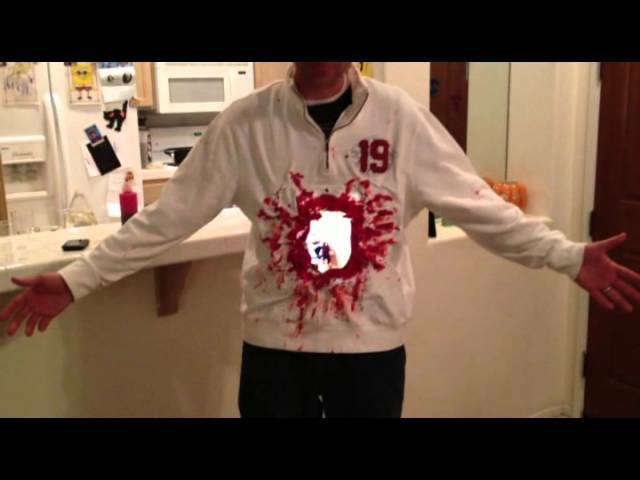 This has been all over the place today, but if you’re stuck for a Halloween costume idea and have two iPad 2s lying around, here’s a great suggestion: just initiate a FaceTime call between your iPads, duct tape them to your torso, pull on a ripped hoodie and smear fake blood all over yourself. It’ll look like someone shot a cannonball right through you! Don’t like your Halloween costume to be so gory? If you’re a fan of Valve Software’s incredible Portal series, you can follow the instructions above and instead of using fake blood. surround the two holes with an orange and blue border. Voila! You’ve been hit with a teleporter gun!